17800134699 Size: 31.1-lb bag Features: -100% Complete and balanced nutrition. -For a shiny coat and healthy skin. -Healthful, flavorful, beneful. -With moist chewy chunks. Food Type: -Dry. Packaging Material: -Paper. Number of Items Included: -1. Flavor: -Salmon/Vegetable. Dimensions: Size 15.5-lb bag - Overall Height - Top to Bottom: -3.5 Inches. Size 15.5-lb bag - Overall Width - Side to Side: -16 Inches. Size 15.5-lb bag - Overall Depth - Front to Back: -23.5 Inches. Size 15.5-lb bag - Overall Product Weight: -16 Pounds. Size 31.1-lb bag - Overall Height - Top to Bottom: -5 Inches. Size 31.1-lb bag - Overall Width - Side to Side: -16.5 Inches. Size 31.1-lb bag - Overall Depth - Front to Back: -32 Inches. Size 31.1-lb bag - Overall Product Weight: -31.9 Pounds. Everything with your dog leads to fun. Whether it's a sunny afternoon in the park. That joyful daily reunion at the front door. Even a spur-of-the-moment belly rub that brightens the day. 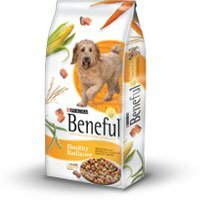 Beneful Healthy Radiance Dog Food helps keep your buddy healthy and happy with omega-rich nutrition for a shiny coat. It's made with real, wholesome ingredients including real salmon, rice and accents of vitamin-rich veggies. This combination of moist, chewy chunks and crunchy bites will have your dog racing to the bowl every time. Beneful opens up a world of possibilities for you both to explore! TheBeneful Healthy Dog Food is a healthy treat for your dog that nourishes it with rich nutrients, vitamins, proteins, and Omega fatty acids. As a result, your dog gets a healthy skin and shiny coat. 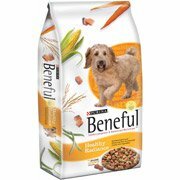 Beneful Dog Food, 31.1 Lb is a perfect blend of tender real salmon chunks, crunchy rice, and nutrition-rich vegetables. 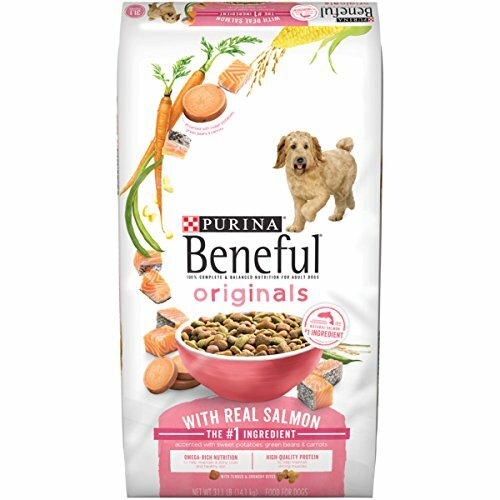 This salmon flavored dog food thus makes an ideal source of omega fatty acid. Rich in protein, this dog food enhances the muscle tone, while providing a thick, healthy coat to your dog. Vitamin E supplements in this dog food are great anti-oxidants, giving your dog better immunity against diseases. With rice as a rich source of carbohydrates your dog is always energetic and active. The Vitamin A supplements of this dog food are responsible for healthy vision. Thus, Beneful Healthy Dog Food makes an amazing combination of wholesome ingredients, balanced nutrition, and irresistible taste. With real salmon and wholesome rice, accented with vitamin-rich vegetables. 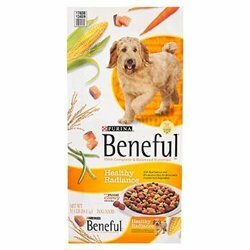 This is a commercial for Beneatul Healthy Radiance food for dogs. 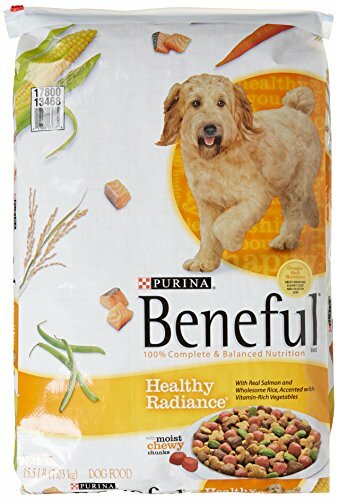 Compare prices on Beneful Dog Food Healthy Radiance at ShoppinGent.com – use promo codes and coupons for best offers and deals. Start smart buying with ShoppinGent.com right now and choose your golden price on every purchase.